I'm not sure I own any purple. Seriously! Not a single piece. I am seriously considering this dress, though. It's another fab piece from Beats & Bohos in Greenwood. The A-line skirt hits my hips just right and the scallop detailing is so cute! 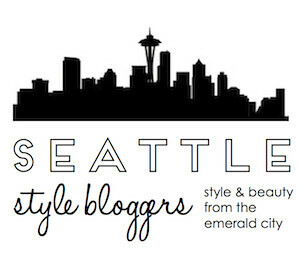 If you're not in the Seattle area, you can shop their collection on Etsy! my fave color and you rocked it!! How did I not know about this store? I can't wait to check it out! You look lovely in purple. Lovely! I am in love with the kimono! I wish i had your hair color and cut. Im dying to cut my hair this short. I see it in my near future. Spring Giveaway: Win Sunglasses + $20!